Is it time to clean up your act? 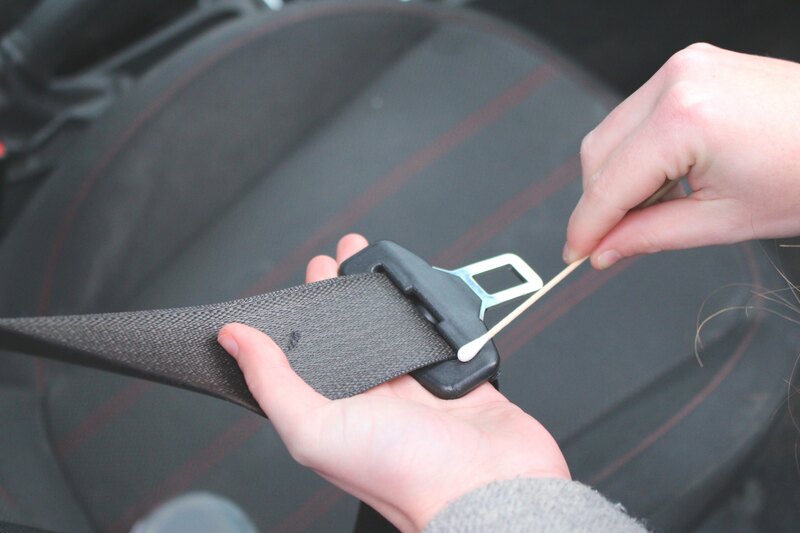 Did you know that your car could be the perfect breeding ground for germs? This is according to our latest research project - read on to find out more. Are you guilty of ignoring a grubby car interior as long as the outside is sparkling clean? 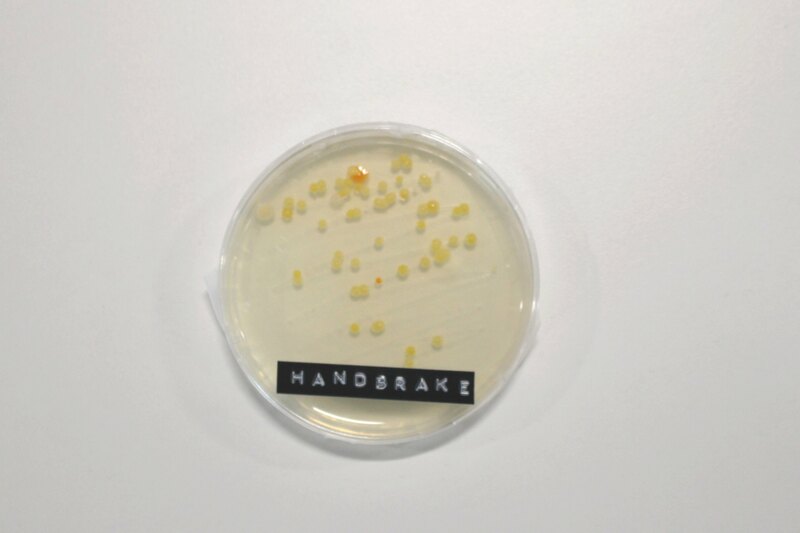 If so, have you ever thought about the germs that might be lingering in your vehicle? 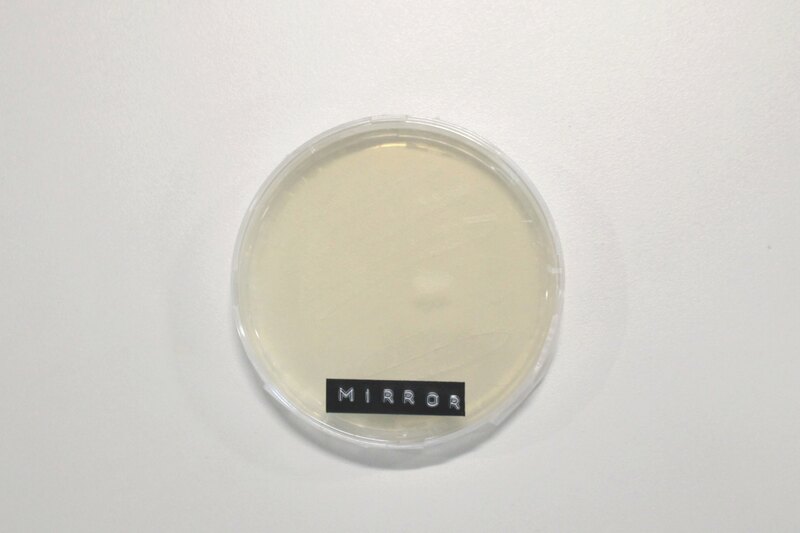 To see exactly what this might look like, Motorpoint conducted some research into what drivers’ car cleaning habits look like, as well as running some practical bacteria tests. The team here at Motorpoint recently polled 1050 drivers to get a clearer picture of their car cleaning habits, and found that, on average, Brits clean the outside of our cars eight times a year (once every six weeks) and the insides slightly more at 9.6 times per year (or every five weeks). Shockingly though almost 1 in 5 (18%) of drivers only clean the inside of their car three times a year or fewer, and almost 1 in 10 (9%) cleaned the interior just twice a year or less. And, when it came to opinions on frequency of car cleaning, there was something of a gender split – men were more likely to focus on a gleaming exterior, whereas women were less willing to sitting in a grubby interior. However, considering that 94% of UK drivers have consumed food or drink in their car before, and 58% of people admit that they have also had pets travelling with them, these numbers could be considered as a relatively low frequency for the potential demand. 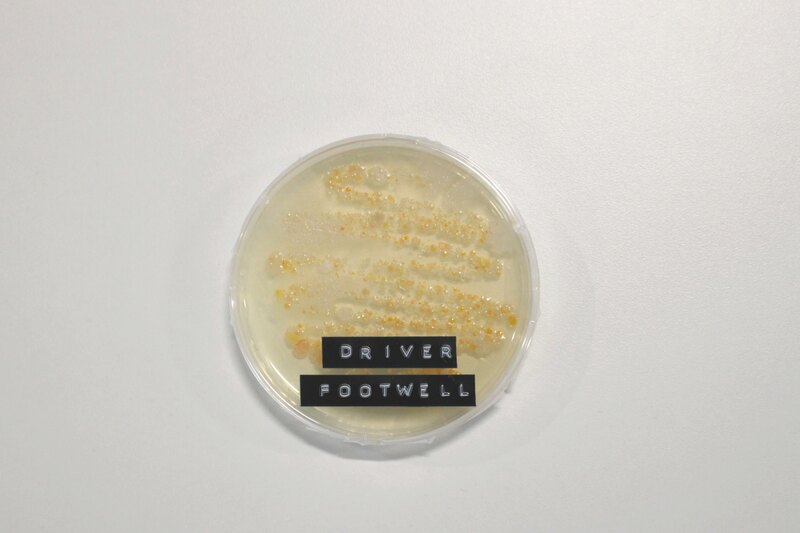 To test what the possible grubbiness looks like under the microscope, we borrowed a vehicle that belonged to a “typical driver” from our survey results (a pet owner who regularly ate or drank in their vehicle). 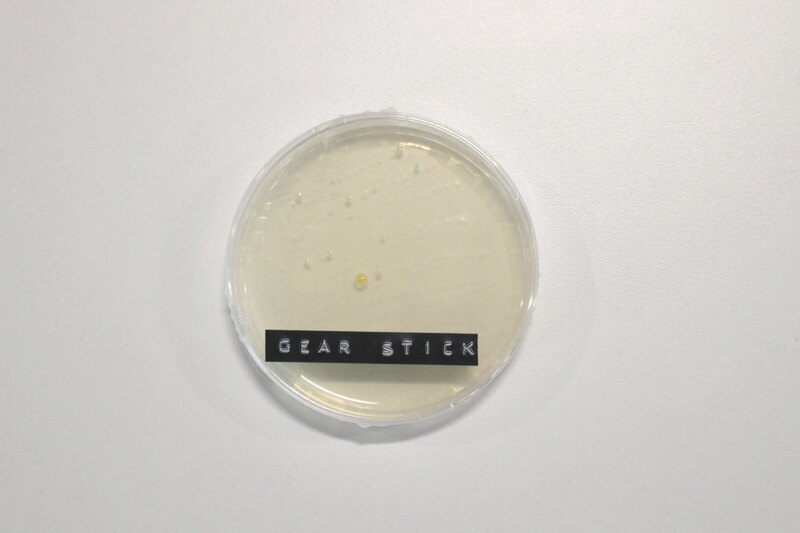 First, we gathered our testing kit equipment - sterilised cotton swabs and labelled agar petri dishes - and then meticulously swabbed each of the areas such as seatbelts and gearsticks, being careful to seal them quickly as not to cross-contaminate any samples. 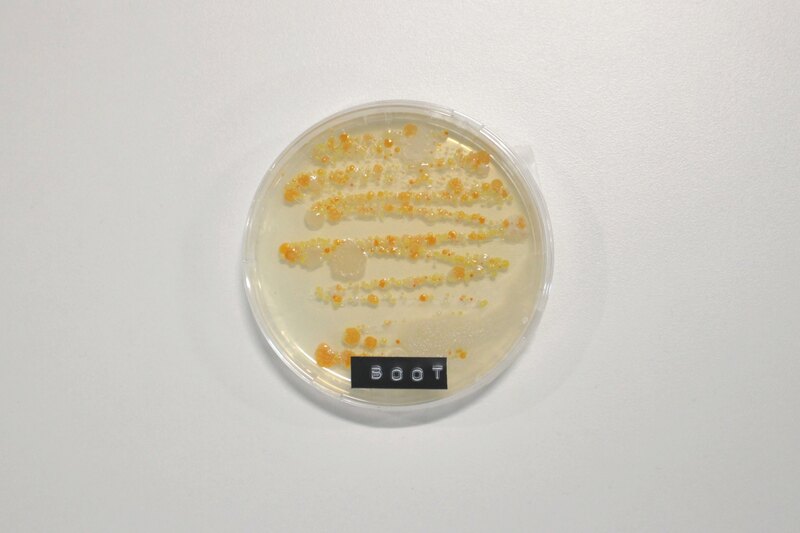 The boot had collected the most visible germs and bacteria out of all the items. The car owner regularly transported their two pet dogs in the boot, indicating that our four-legged friends are partly to blame for bringing germs into our vehicles. This was followed by the driver footwell, which makes sense as one of the most commonly used areas of the vehicle. This was followed by the seatbelt button and the handbrake (see above), both of which are subject to a lot of touching. At the other end of the spectrum, the three cleanest items were the rear-view mirror, steering wheel rim, and the gear stick. 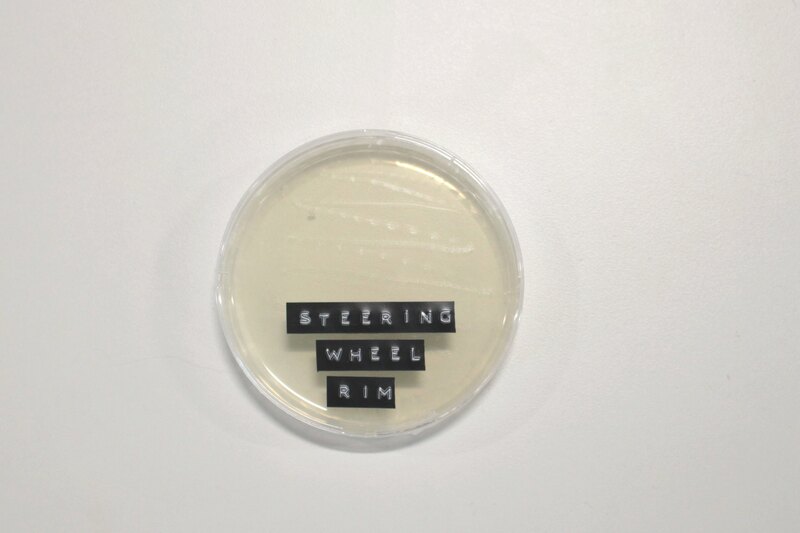 As you can see from the petri dishes below, there are very little germs collated – which is surprising despite being tactile areas of a car. So, when you’re letting your dog jump into the back seat, or you’re munching on a snack in the driver’s seat, take a moment to think about how many germs might be getting spread around your car. 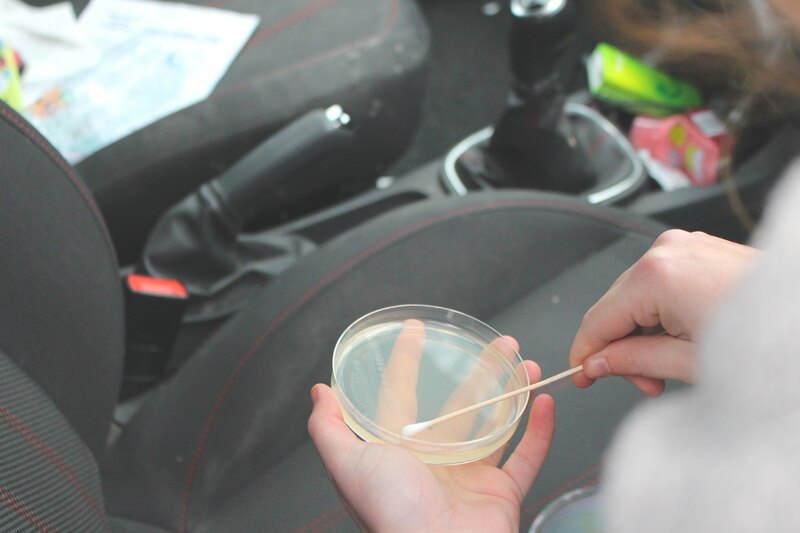 The findings revealed that our cars can be a breeding ground for bacteria, and so it pays to regularly clean them, both inside and out.